Michael Daniel Ho - The Wildlife Ho-tographer: When Is Canon EOS-7D Mark III Camera Coming? 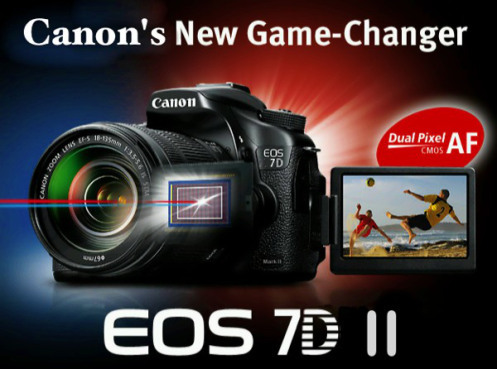 Canon announced the EOS-7D Mark II camera in 2014. My readers will remember when the original EOS-7D was released in late 2009, I picked it as the best APS-C camera for sports and wildlife photography 4 years in a row. The current Mark II version is an excellent camera but it has stiff competition from the Nikon D500. This camera has accompanied me on many global wildlife photo shoots and has not disappointed me so far. You can read my comprehensive review here. I expect Canon to release a major firmware upgrade to 'jazz up' the camera's performance until the Mark III version arrives in the second half of 2018. Keep checking back. More to come as I receive additional information.